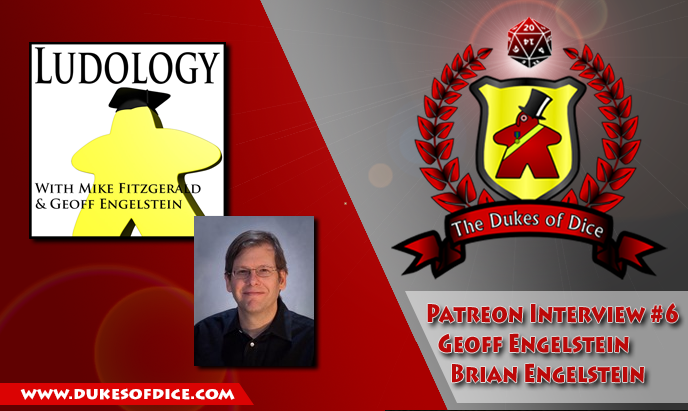 This episode, Alex sits down with Geoff Engelstein and his son Brian Engelstein. Geoff is the one of the hosts of the Ludology podcast. Geoff is a prolific game designer, who along with Brian have designed games like Survive: Space Attack, Space Cadets and The Dragon & Flagon.